Ishqeria, featuring Richa Chadha and Neil Nitin Mukesh looks like a complete entertainer. Directed by Prerna Wadhawan, the trailer for the film was launched on 30 August. The two-minute-clip shows Chadha's Kuhu in flashback, a girl madly in love with Neil's Raghav. Kuhu tries every ruse possible to woo Raghav, who is the most sought-after student in college. Neil is portrayed as a comparatively calmer character which stands in stark contrast to Chadha's loud but endearing portrayal. In a hilarious moment in the trailer, Kuhu, in an attempt to showcase how poised and sophisticated she is, proclaims, "Mein bhi apne colony ki Miss D-Block reh chuki hun." 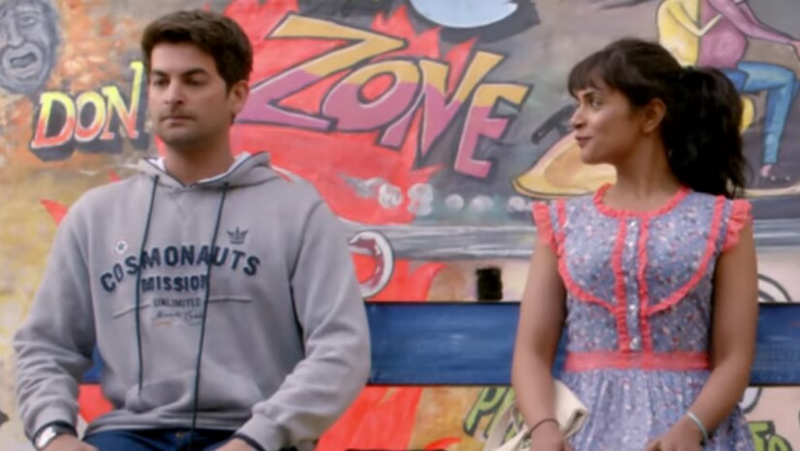 The second half of the trailer depicts a downfall in the romance between Raghav and Kuhu as Neil is seen vexed with Kuhu's nonchalance towards life. The viewers are given a glimpse of this climax in the beginning as well, where the opening scene shows Raghav demanding a divorce from Kuhu. While Chadha gears up for the compelling Love Sonia, Neil was last seen on the silver screen in the Rohit Shetty directorial Golmaal Again in 2017. Written by Wadhawan, Ishqeria is scheduled to hit the theatres on 21 September, 2018.